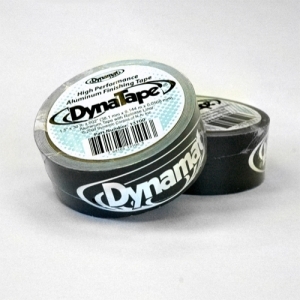 ﻿DynaTape is a 2 mil aluminum finishing tape used with Dynamat to seal seams, attach wiring, contain unwanted butyl migration and give your project a complete, professional appearance. The 1.125″ (29mm) wide Dynamat Economy Hardwood Dynaroller is a professional tool for applying Dynamat and ensuring proper adhesion with professional-looking results. The must have tool for a professional Dynamat installation, Switch-A-Blade is the always handy “pocket utility knife” that combines the convenience and portability of a pocketknife with the functionality and usability of a utility knife.